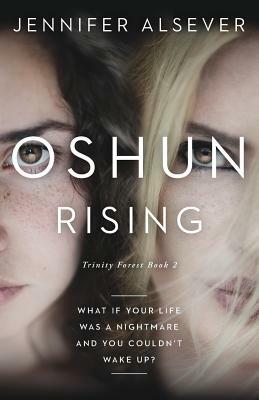 OSHUN has everything a young pop star could ever want--fame, fortune, and beauty to spare. But there's something dark inside of her, rising like the tide, fighting to be heard. Something that terrifies her. Because once she lets it out, she knows there's no going back. EMBER is drowning. Fighting for consciousness, struggling to make sense of the strange dreams she's been having--prophecies of murder, deception, and blackmail. But once she begins to untangle them, she realizes that they might not be dreams at all...and if she doesn't find a way to stop what she's seeing, more people will die. MADDIE is barely staying afloat. How can she be expected to care about school when her best friend Ember is still missing, presumed dead? So when Ember's brother calls and tells her about his theory about a pop star who may be involved in Ember's disappearance, she rallies him to take a road trip to check it out.